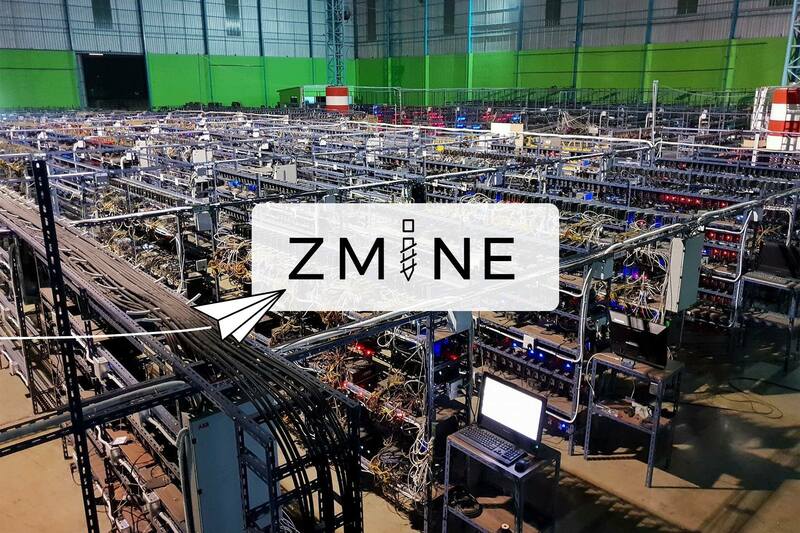 ZMINE starts out as a group of computer tech enthusiasts, keep try and catch, until the discovering of Blockchain and Cryptocurrency technology, our journey begin. Blockchain has many branches related; programming, networking, cryptography, economic, financial, and also even probability. We started from a small mining as a hobby, spend personal savings to buy the GPU and manipulate the GPU to be in its best condition one by one at a time. Moreover, we also manage a well ventilation system. This period of time is simply brilliant for us. We want to scale up to increase our income directly. Reinvesting from the money that is earned from mining is too slow. We think of a model and start to develop, with further investment called WRYGC. WRYGC model (We Rent Your Graphics Card) is the model that allows customers to bring their own GPU to us to take care of it. The return will deduct the cost of electricity and then split 50/50. Even though the GPU’s revenue is half loss for us, but we have more than doubled the amount of GPU used. We start using this model with friends and acquaintances. It appears that the response is very good. We came to the next step. Finally, we step up forward to 1000 GPUs. Upon reaching the level of 1,000 GPUs, the problem is gradually emerging. The first problem we immediately recognized was we can no longer do mining in residential buildings for the reason that the space for mining rigs is not enough and it can not make rigs work efficiently. Both in the field of cooling and access to repair cases where some GPUs stopped working. We solve the problem by setting up new rigs in a ten-acre high roofed warehouse. The following problem is that it takes time to assemble and maintain rigs effectively. This problem has brought us to where we have to make a big decisions in life. That is, resigning from a regular job to take care of the mining farm. 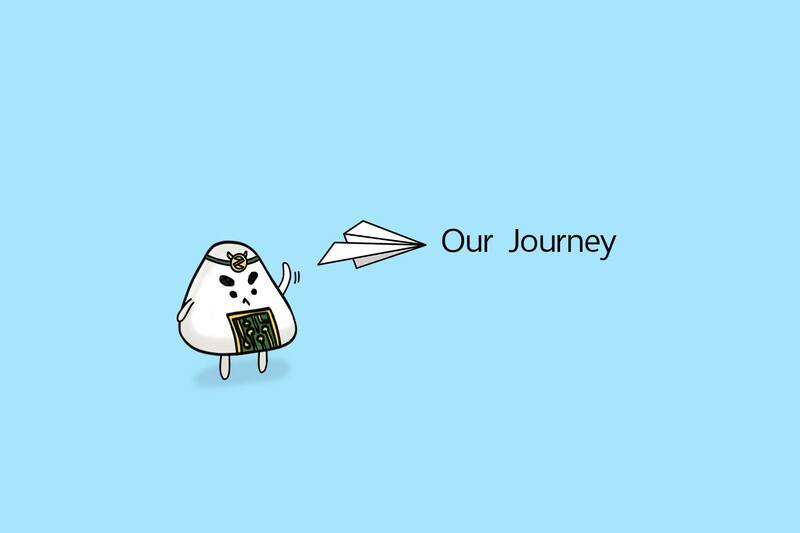 We were afraid of it, but it was the best decision that we have ever mad and we are grateful for it. Even if it is full time, examining the work of rigs with the naked eye in the middle of the warehouse is still very difficult. We start the development of Inhouse Software to detect rigs that do not work and solve the problem in the simplest way, restart only the rig, but if which in case it is still not working, the system will alert our staffs with the location of the rig that is not working, therefore we can get it solved immediately. There is also a problem with the stability of the Internet because we move the mining farm to the metropolitan area, the internet is not as good as we expected, we need to use multiple services simultaneously and make the switch immediately when the network signal of any network is below the speed (Load Balancing Technique). Along the way of our development the confidence that we have given it to our customers, the number of rig are increasing and we have learned new things all the time. We have found and solved problems that we have not encountered when it was just a small mining farm. The problem with the 10,000 GPUs we have been talking about is the usage of electricity. It’s getting to the point where we have always worried. We need and it is necessary to install a 5,000kV transformer just to install electrical equipment. The cost goes up beyond 30k USD already. The Downtime of 1,000 GPUs is something that we fix in a timely manner, hiring people to check in 24 hours, but at 10,000 GPUs, we can not take care of that. In order to prevent customers from benefiting from downtime, we use the Zero Downtime Policy as our policy to spare 20% of the GPU, reserved for all customers. In the event that the GPU does not work, the ZMINE team will continue to fix it as soon as possible. 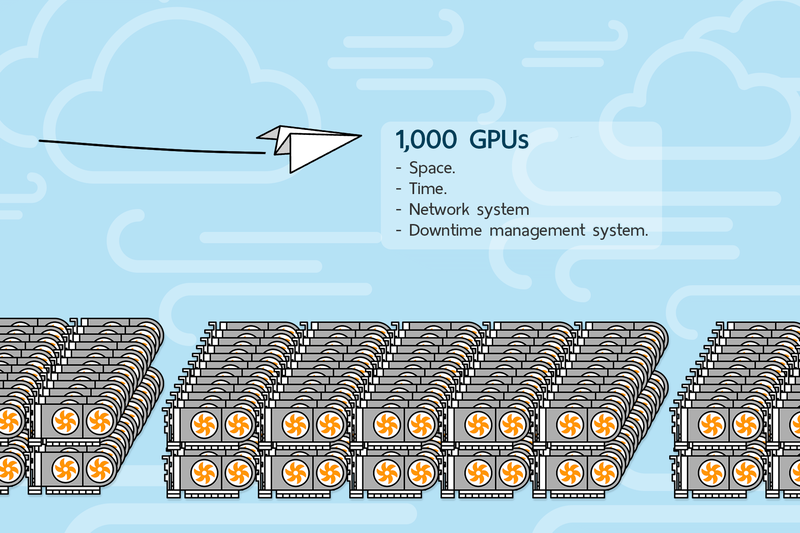 The downtime of the GPU will be counted as the Downtime of the GPU that ZMINE reserves, so we can guarantee that putting the GPU with ZMINE is 100%, uptime time is 24/7. 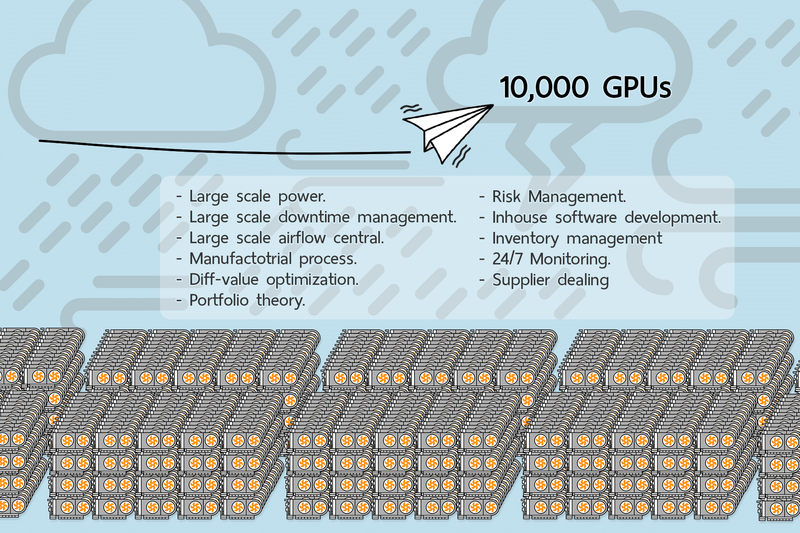 Although we are settled up a mining farm in a ten-acre high roofed warehouse, 10,000 GPUs are necessary to let the wind flows nicely to cool the heat down. The warehouse space is not enough. We need to build a large ventilation tunnel that covers the rigs, collect all of them closer together. The structure of the ventilation tunnel is also more than 30k USD cost as well. Lookback at when our farm was small, GPUs to install was only about 10 pieces a day, to flash the GPU rom is also something that is still doable with the hands back then, ut when the GPU reaches the 10,000 GPUs, we have to handle 100 GPUs a day, which mean we could lost revenue at least 10 ETH a day. One of our lucky is, we are knowledgeable in fundamental of engineering. 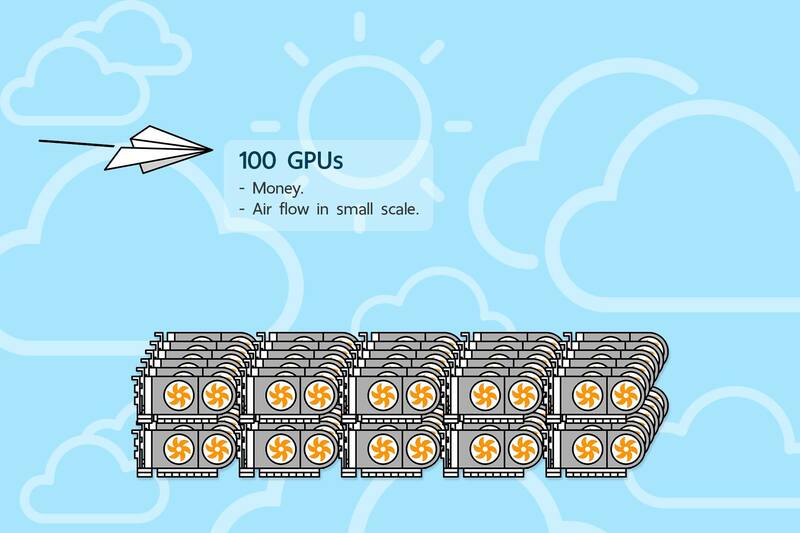 We designed a plan to work from transporting GPU that comes to mining, the Mining Software Initiation Process that we developed can support the installation of more than 500 GPUs per day. In addition to the physical problems mentioned above, we face many technical problems. One of them is owning too much hash rate for only single cryptocurrency, raising a dime to one coin will create a Network Difficulty in enormous size. Although we evaluate how valuable it is in the future. We can not use our mining with only single cryptocurrency. Including the exchange rate risk of the coins we mined with the coins we paid for our customers, we mined AltCoin, but paid in BTC, making it more risky by the time to hold the AltCoin waiting to be exchanged for the BTC. Sometimes when the market volatility is very high, the exchange rate is only one minute can result in more than 10% benefit or loss. We need to study in other areas more than just engineering to solve these problems, we applied the theory of financial management and portfolio management, we use ‘Efficient Frontier’ to decide the distribution of the loading for each cryptocurrency. We will not send the full force to mine at a time, instead gradually be brought little by little as a ‘Micro Succession’ methodology, known as dispersion forces in ‘Uniform Random’ or ‘Clumped’ as an appropriate from calculations of our mining ecosystem. We calculate Coefficient of Coins compare to BTC. This value gives us a great deal of weight during this very volatile market and the risk limitation that we won’t be holding too much cryptocurrency in order to limit the damage in case we make a mistake. When Optimizing these variables with other variables that we will not reveal, we will get the final result of over time mining hashrate distribution to get the most effective results and send to customer’s BTC address. We may not know how to be a proper pilot, but today, so far, so good …. Today we will be heading toward 100,000 GPUs. There might be many obstacles waiting for us ahead but we will go through all of them with all of our mind and experience.